Terry Glavin, Canada’s answer to Christopher Hitchens, is a passionate provocateur and talented storyteller who for the past few years has turned his attention to Afghanistan. 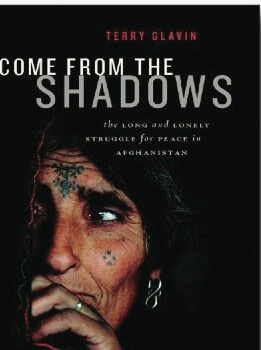 Glavin gathered stories in Afghanistan from a diverse group of people: teachers, shopkeepers, women soccer players and others we don’t usually hear from whenever the role of Canada and “the west” in Afghanistan is discussed. It is through these stories that Glavin makes a compelling argument for Canada’s continued presence in Afghanistan and attacks what he considers the pious pacifism of the left. The left-leaning Glavin notes that the historical role of the left has been to combat fascism and feels it has abdicated its responsibility in the case of Afghanistan and the Taliban. The source of this failure he feels is the creation of a fictional state of mind called “Absurdistan”, shaped by a compliant media happy to rely on repetition of untruths about Afghanistan and its reliance on a select few experts on that country, such as Malalai Joya, whose viewpoint Glavin clearly loathes. Taking on Joya—author of the “polemical hagiography” A Woman Among Warlords: The Extraordinary Story of an Afghan Who Dared to Raise Her Voice—is a bit like taking a swipe at Mother Teresa in some circles, but Glavin astutely and intelligently challenges perceived wisdom on Afghanistan on many fronts. Ultimately it is Glavin’s recounting of the history of Afghanistan and its people—an opportunity for him to show us more of his heart than his head—that moved me, and reminds us as Canadians what we are doing in Afghanistan—and why we should be there.